1) Your pants were too short. 2) Your eyebrows looked like angry caterpillars passed out on your forehead after coughing up particularly fuzzy hairballs. 3) You told me EVERYTHING that was happening to you all the time. And I mean everything. “At least he’s open,” I said. “At least he’s honest,” I said. “Can I tell you about the explosive indigestion issues I am currently experiencing?” you said. 4) You listened to power metal. Power metal is what would happen if the members of Def Leppard collectively had a baby with a Norwegian who was rejected from Metallica, and that baby grew up reading too much Lord of the Rings and not enough Strunk and White. 5) You tickled me. Fun fact: no one likes to be tickled. 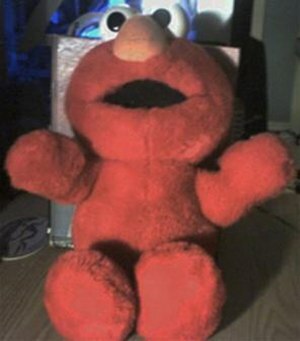 Not even Tickle-Me Elmo likes to be tickled. If I laughed, it was to keep from stabbing you in the face. 7) Your humor preferences were inexplicable. I recognize that we will never see eye-to-eye on the appeal of Ron Burgundy, but you didn’t laugh once during “The Princess Bride”. Not once! What kind of person are you? 8) You used phrases like “fair maiden” and “bonnie lass” to describe me. In fact, the power metal mix tape you made me is titled A Fair Mix for a Fair Maiden. That’s… people don’t… whatever. I’m going to go listen to some power metal about saving grammatically incorrect hobbits from fiery doom in Mordor.